The convenience of powered speakers can’t be overemphasized: with little or no training you can use it without messing with amplifier, receivers or cables, and the likes; just plug and play! There are tons of powered speakers in the market and choosing the best powered speakers can be a hard task. So, we are going to show you the top 8 on the market and other information that can help you in your purchase journey. What is a powered speaker? What Are The Benefits Of Powered Speakers? If all you need is a durable high quality, loud and easy to operate speaker this is one of the best powered speakers that might be able to meet your needs. This Proreck Powered speaker fit into anywhere you want it used. Its functions are without flaws plus its high durability. The sound is crystal clear, helped by the inclusion of two rock-solid sub-woofers forged with MDF materials. Also, the eight tweeters and eight mid-tweeters help regulate the audio quality enhancing clear and deep stereo sound. It gives crisper and distortion free sound which makes the listener enjoy distinctive bands. It is a 3000 watt PA system consisting of active and passive sub-woofers. The product comes with eight speakers of 4×4″ array speakers, two speaker stands, one speaker cable measuring 30 feet, six 8″ 6.35mm cables, and a 6-feet 6.35mm cables. Also, it comes with a 33-foot 6.35mm cable and remote control. The active woofers have 12-inch Amplifier and transmit music to the passive speaker and line array speakers for the listener’s enjoyment. It produces a sound loud enough to accommodate 400-500 people. It can easily be paired with other devices like iPhones, Android devices, iPads even at 66- feet line of sight. The remote control is there for easy operation such as switching mode, pause/play, change to previous/next song, and increasing/decreasing volume up to 20 feet. Bluetooth/SD card/ USB drive: simply insert your SD card and voila! Your music comes out fine. Versatile four channel mono and stereo inputs. Individual volume control and bass/treble control and general volume control. Adjustable speaker poles from 65″ to 80″ for PA system. Easy and convenient lifting and transportation by the side handle on the sub-woofers. 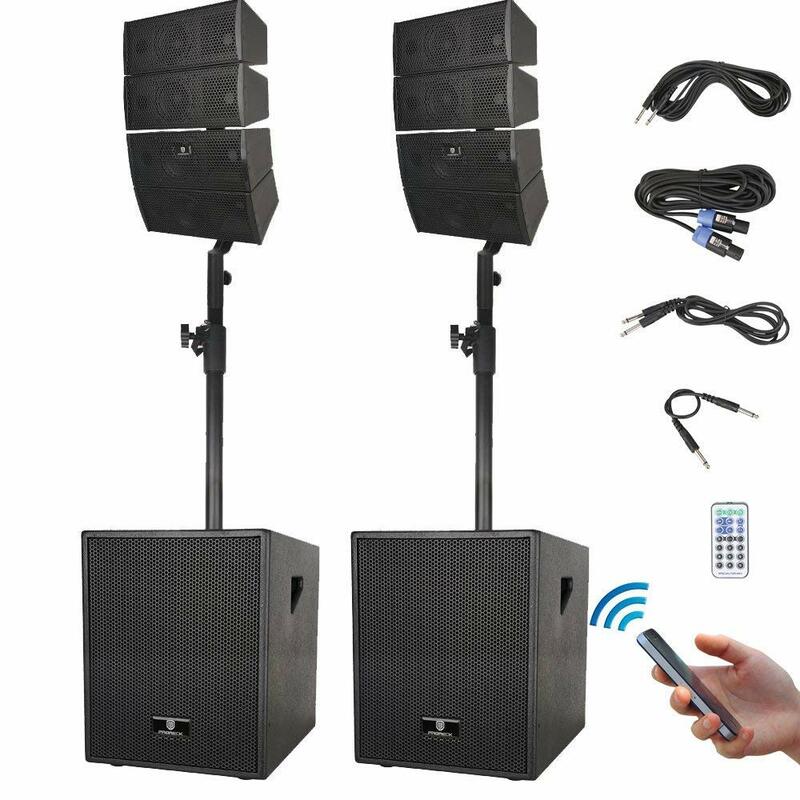 Its wide frequency (40-20kHz) makes it suitable for use in a gathering of 400-500 persons for weddings, religion services, class teachings, Speeches, gymnastics, home theatre, conferences, etc. Note that it is a bit on the expensive side. Of course, good things don’t always come cheap. 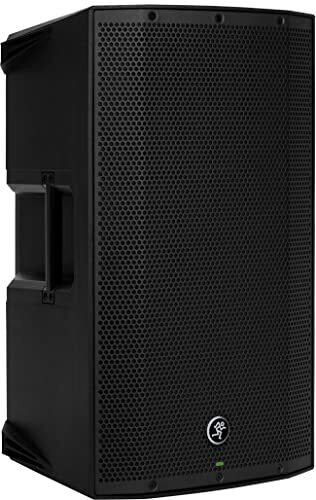 Looking for a compact PA system that doesn’t cost much yet deliver good quality sound and easy to operate? Then the Rockville might be what you are looking for. It is among the best powered speakers on the market and makes sure no audience is left out as it disperses distortion free sound to all. This sound system is assembled with high power 12″ long throw woofer and 2”aluminum voice coil that produces clear sound and awesome bass response with 25mm piezo compression horn tweeters for clear high. The equalizer also affords user more options in maintaining Premium quality Sound. It’s manufactured with high-quality components parts. This product has an exceptionally rugged high impact on ABC construction. Presence of side handles for convenient movement and setup. It comes with 1/4″ cables for active speaker to passive speaker connection, 2 RCA lines, 2 strong tripod Stand, 2 XLR plus 1/4″ Mic level inputs. This powered speaker feature Watts peak/250, Watts RMS/500 and 40-cartridge mic made of plastic body With rugged construction. Also found on it is the on/off switch. The speaker is shaped like a sponge ref-shake, covered with steel mesh grill and finished in a beautiful black color. The Tripod Stand is made of steel and can be adjusted to a desirable height which ranges from (43”-72”). It has Bluetooth built-in to receive an audio signal from any Bluetooth enabled device. Also, it is USB enabled for MP3 Plackback, SD digital MP3 player, and microphone can also be connected directly. The powered speakers function as FM radio and have an LCD screen that displays MP3 functions. The wireless remote control is also included for convenience and to alter any of the MP3 Plays functions. Its compact nature, portability, and long, rugged stand make it fit to address the audience at a lecture, campaign, stations, and for an emergency because it is easy to set up. 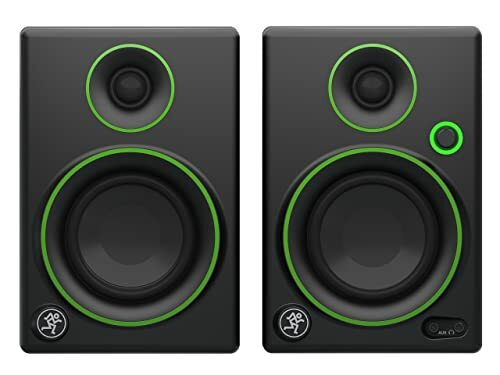 CR3 monitor speaker by Mackie is an entry Level powered speaker, but it offers money bargain both for beginners and people who want to add to the large set of audio speakers they had to check mixes and master on. 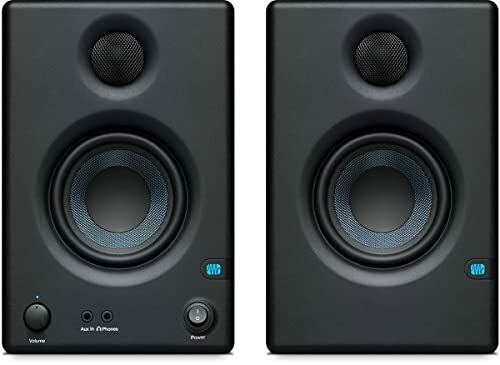 As one of the best powered speakers, Mackie CR3 monitor speakers are designed to give accurate sound, make room for adjustment in the mix as appropriate, and detect errors in sounds easily. From its name, it comprises of three woofers and a tweeter which goes up to 80 kHz-20 kHz loud enough for a studio environment without causing inconvenience to neighbors. It is forged from professional grade components to achieve optimize sonic performance. The product features 1/8-inch stereo RCA cable that it is possible to connect the Output of your computer to the speakers conveniently. Also, the CR3 comes with two speakers, One of which is a passive speaker and the other houses the amplifier with convenient front panel knob encircled by lit power ring which functions as the on/off and volume control. No EQ in the design but you can adjust the volume independently on each speaker. The front houses input/output channel for connecting phones, headphones, etc. Additionally, it comes with Bluetooth connectivity that allows you to pair any Bluetooth enabled device for unlimited music streaming. It is versatile, can do a great job at different locations from filmmaking and vloggering to Music making. It can also be connected with your computer and home theatre. The design of this speaker is a temptation on its own. Not to mention it pocket-friendly price and the quality sound coming from this piece of beauty. The speaker deals with more neighbor-friendly sounds. It is made up of one-inch titanium tweeter densely adhered to a proprietary hybrid Tractrix horn. This makes the speaker deliver incredible loud and crystal-clear sound that fills your home. It delivers robust bass that surpasses an ordinary bookshelf capacity. Distortion of sound is minimal owing to the suspended linear travel, giving high performance. It comes with renowned LTS tweeters; vented tweeter housing that enhances detailed, quality and high-frequency production. It consists of 6.5″ cerametallic woofers, accentuated by a band of copper trim, joined by the titanium tweeters in a subtle gleaming ring and finished in piano’s black. It is built to the height 15-inches. The premium materials and fine craftsmanship used in its coupling are apparently evidence to see and feel while carefully selected materials and horn-loaded tweeters made the speaker more durable when compared to some other speakers with extreme sensitivity of 96db. It uses tractrix geometry allowing for most efficient, fastest air transfer from the enclosure. The ports have custom designs that are effective against air interference in turn giving powerful high bass. It uses a banana screw through the single 5- way screw and also ordinary wire of up to 12 gauges for flexibility. The color coding makes it easy to set up. Mere looking at it, this cerametallic woofers speaker catches people fancy and its pleasing budget price is also a plus! I’m sure we want no beauty without brains! This speaker provides the opportunity of filling a home with good quality sound, durable and portable powered speaker without emptying the wallet. 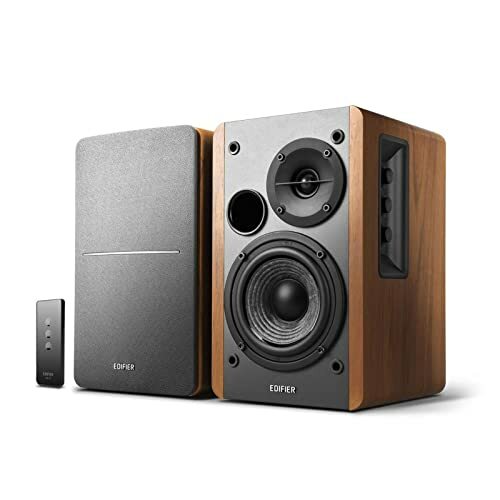 Edifier through times has proven to be master of design as well as good quality sound speakers. Edifier has been producing quality products and this I believe is not an exception. It produces natural sound from a 4-inch full bass unit and 13mm silk dome tweeter. It has a total output of 42W RMS. The front firing and flare pass reflect port gives the pleasure of hearing pleasing sounds that are loud and clear enough to fill a room. The sounds are more relaxing and make them excellent for longer listening and background play. The cabinet is made of MDF wood finished with wood effect vinyl. The flared bass reflex port, and ribbed woofers sure catch the eyes which make good decor. It consists of a left passive speaker and a right active one. The interfaces are located on the right side of the speaker plus a green status light that glow when on. It comes with two AUX inputs that make it convenient to connect any compatible device. Also, it has dual RCA output or a 3.5mm headphone output. This gives you the chance to connect to two devices at the same time through AUX, no plugging and switching needed. Three dials are found on the speaker for regulating treble, bass, and volume. The remote also functions for volume and muting of the speakers. The clear soft and relaxing sound makes it fit to be used as home theatre speakers and with the computer. It is compact and of moderate quality and large enough as a desk speaker. This is one of the best powered speakers from a company that listens to the needs of its customer and provides quality products ranging from pleasing budget prices to high tech expensive gadgets with the latest technology. 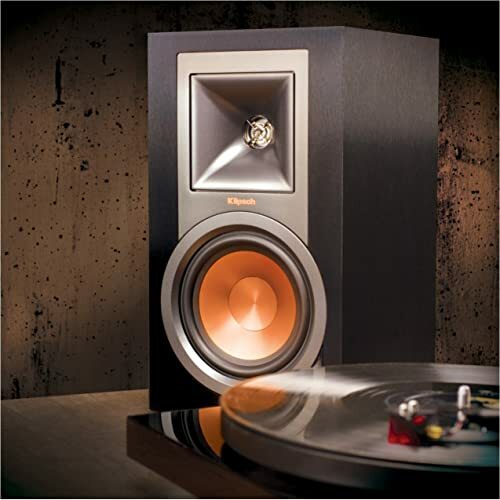 Klipsch R-15PM powered monitor is one of the powered speakers that might help fulfill your dreams of getting a pleasant sound. The size of the speakers cannot be compared to the sound it produces. Though it of relatively small size, it gives dynamic outstanding sound performance compared with speakers of similar size. It is made of a 1-inch horn-loaded Tractrix tweeter and spun copper cerametallic cone woofe. It comes with full bass and gives more energy and excitement than its counterparts on the market. It uses brushed black vinyl favored by most budget speakers and upgraded by phono input. The size is 12.5” ×7” and weighs 10.3 pounds. This best powered speaker is made with spec sheet encompassing 1″ aluminum diaphragm compression driver matted to a 90°×90° square Tractrix Horn and 5.25″ copper spun IMG woofer which is shielded magnetically. It features 50 watts in-built amp per channel, and frequency response of 62 Hz to 24 kHz, +/-3 dB. Additionally, it comes with a mini-jack line lever (3.5mm), wireless Bluetooth technology, a digital optical, IR remote, and much more. The speakers are connected to each other through the supplied speaker cable, and the active speaker needs to be plugged into power the internal amplifier. You can connect the speakers to your phone, or other Bluetooth supported devices through a wireless connection. You can add these speakers to your audio or home entertainment system. The powered speaker produces room-filling sound without taking up much space and speaker engulfs listeners in their favorite movies and music. Delivers powerful DSP with a deep low-end, wireless controller and streaming in a spacious cabinet. Its sound output is massive which goes in accordance to its massive woofers drive throbbing bass and its 1.4″ titanium dome ensuring equal and widespread. The Jackie’s propriety dynamic bass response together with the ultra-efficient class-D amplification supply huge power to the high-frequency compression driver and high output woofers. With this, there is high performance in a demanding environment. The speaker comes with 3-channel mixer that enables 3-band EQ per channel built in it, user presets, and application specific speaker modes. These features provide maximum versatility. Also, it comes with a portable design which makes it easy to set up and transport. It weighs up to 36 pounds, compact and light in weight-enabling traveling and storage less cumbersome. The speaker is rugged, a complementary factor to it sleek and style. It is built of high-quality materials which makes it reliable and durable. The in-built two-channel mixer containing Vita preamps and wide Z- technology to accommodate microphone, line-level and instrument signals working with this product is easy and simple. The product comes with different mounting options from stage monitor and pole to tripod stand. As one of the best powered speakers on the market, this product will take you on a superior journey to experience top-notch wireless technology and advanced digital speaker. From channel EQ, wireless streaming, user presets and more you have the opportunity to control all with the Thump Connect app. It is the most powerful Thump and flexible loudspeakers produced by Mackie as it offers the class-leading performance you need. The PreSonus Eris E3.5 might be the best powered speaker for you if you are looking for a powerful studio monitor that can create accurate mixes for multimedia, gaming, and watching movies. Also, if you want to produce your next hit, it might be the speaker you need. Eris E3.5 active multimedia monitors offer easy-to-adjust high- and low-frequency controls to address situations when mixing. The volume can be increased with the knob, in-built 25W/side power amplifier delivering clear and accurate sound. It makes use a low-frequency, woven composite driver. A constant pattern is dispersed by the woofer wave throughout the frequency range. This helps to eliminate time-smeared audio and produce cleaner overall sound. It comes with 1-inch silk-dome tweeter that offers high frequency, accurate transient production, and refined sound. The tweeter is built in a way that it radiates sound with a dispersion pattern that is fairly wide. This helps to create an optimal listening in a large area or “sweet spot”. This mean you can move around and still hear every sound accurately. It is furnished with three audio inputs, an interface, a media player and any other line-level source; these ensure easy feeding of audio to the speaker. Included in the rear panel are 1/4” TRS, 1/8” stereo, unbalanced line inputs for mobile audio devices, RCA inputs, and front panel. Connection with any line-level source including smartphones and tablet becomes possible and easy. The front panel headphone amplifier is also not lacking-This can be used to work personally without causing disturbance to housemates. It has a compact and powerful design. Given its consistency, and accuracy with the smooth and even frequency response that has made it stand out among it equals, Eris has found usefulness for multimedia, gaming, producing the next hit music, watching movies, etc. By powered speakers, we mean speakers that are self-powered, active speaker with built-in amplifier, a direct opposite of passive speaker which has it amplifier separately. 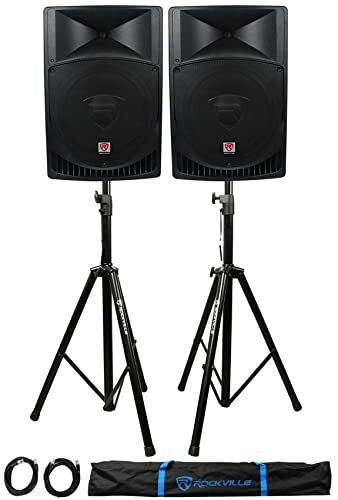 It has found usefulness in different areas like sound reinforcement system(some have onboard mixing console and preamplifiers for direct use of microphones with the speakers), DJs use it in clubs, main speaker for audience and monitor speakers for performers, as part of hi-fi in homes and computer speakers. The difference between active and passive or powered and unpowered speakers even though used interchangeably is seen in reference to the speaker’s amplifier and crossover. When we say active, we refer to the crossover system/network. The crossover network in an active speaker will divide the frequency band of the audio signal into different levels (low, mid-range and high) which are sent to corresponding speaker drivers designed for such frequencies. The crossover and amplifiers power each driver from where we got the term ‘powered.’ So active powered speakers simply mean speakers that have active crossover before the amplifier and dedicated amplifiers for each driver and are protected for each driver as well as room response controls for each driver. Passive speakers, on the other hand, split audio signals by the crossover network and send it directly to the loudspeaker drivers, has a separate amplifier that transmits different range of audio signal with machineries like a capacitor, resistor, and inductor. These generate heat and reduce the efficiency of the speakers. 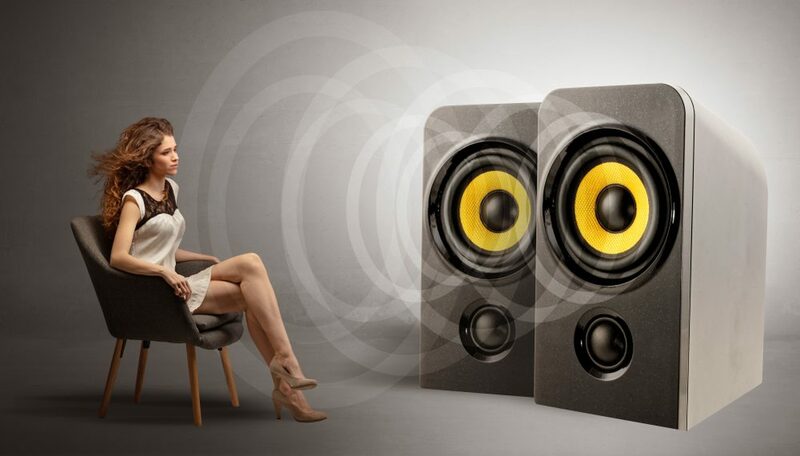 The benefits of powered speakers over the passive or unpowered speakers have made them the top choice for many today. It is simple in design and usage: all you need is to plug and play you may not need setting up different apparatus before using the speakers and tampering with wires. All the needed components for its functioning are incorporated in the enclosure. 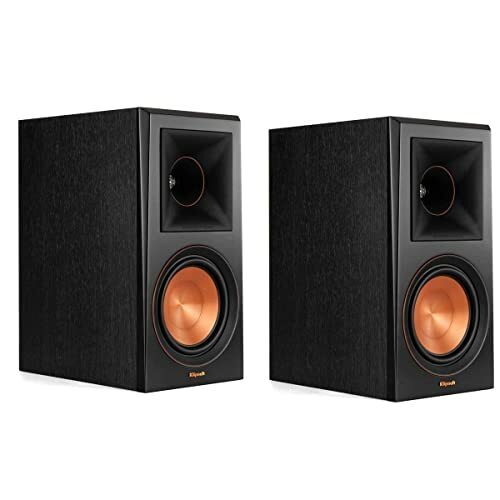 It is less expensive when compared with the passive speakers where you will have to purchase each component that makes up the speakers separately thereby costing you much money. The powered speakers come as a single compact package meaning everything you need for a speaker is already there, and this makes it less expensive. It gives fine sound at no stress and no professional skill. Its design for ease of use of the consumers. The cable has less copper eliminating the issue of power loss. When it comes to buying the best powered speaker for you, there are a lot of factors to consider. Portability and size – one of the first factors to consider is the size of the system. If you will be transporting your power speaker frequently, it is the best you go for the portable ones. However, if you want one with much control, larger powered speakers might be a good option to opt for. The reason is that super-compact systems do not offer much customizability and control. Microphone support – if you will be using the speakers to project your voice as a singer, tutor, or to give a speech, you need to go for a powered speaker with microphone input. Power source – there are some powered speakers with DC; also some come with AC power. Additionally, there are some with rechargeable speakers built in them. The most powerful speakers make use of AC power. If you need a speaker that you can use no matter where you are, a rechargeable speaker is a way to go. But if you are going to address a large crowd, the speakers powered by AC and DC are a perfect match. High-quality, sturdy and the best powered speakers are a perfect option if you want to do a presentation in lecture halls, perform in a live concert, and promote products. With these speakers, you can make your voice spread across a wide area and enhance the sound. I believe there is something for everyone in the list of the top 8 powered product provided above. Know what you need, take a careful look at it and go for it, believe me, you won’t be disappointed.